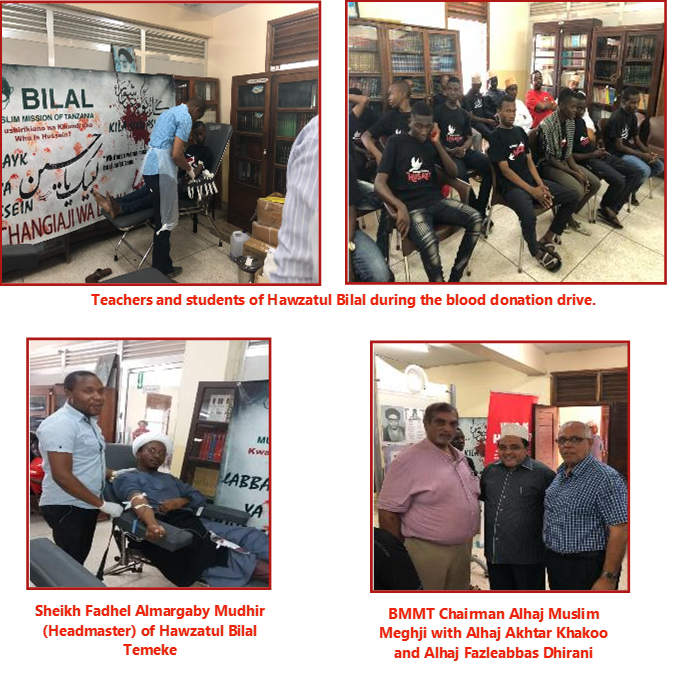 The Bilal Muslim Mission of Tanzania in conjunction with Who is Hussein Group organized a Blood Drive at Hawzatul Bilal Campus -Temeke on 29th September 2018. The Hawza students, teachers and other people from several Madrasahs all over Dar es Salaam donated blood in the name of Imam Hussein (as) who sacrificed his life to save the religion of Islam. A total 65 pints of blood were collected. The Chairman and Management Committee of BMMT take this opportunity to thank all those who participated in the blood drive and sincere heartfelt gratitude to the Who is Hussein Group volunteers, doctors and donors.